Here are some pictures from the Princeton Batttlefield. While not a large battle, it was a pivotal one of the Revolutionary War. It was the first time the Americans beat the Bristish in a full on, face-to-face battle. This and the battle of Trenton is said to have convinced the Americans that they could actually win, even though they were both small battles. Washington looms large in the battle. The troops were already engaged, yet faltering when Washington arrived and he gallantly rallied the troops and renewed the attack leading them to within 30 yards of the British. This was the moment that sculptor Clark Mills captured in his statue of George Washington and his horse in Washington, D.C., dedicated in 1860. The arch in the pictures above leads to the marker indicating that soldiers who fought the battle are buried nearby. The arch was originally part of a house in Philadelphia, built by the same architect who built the U.S. Capitol building. The arch was moved to Princeton and was part of a mansion on the east side of the battlefield. When that burned down in the 1950’s the arch was moved to this spot. 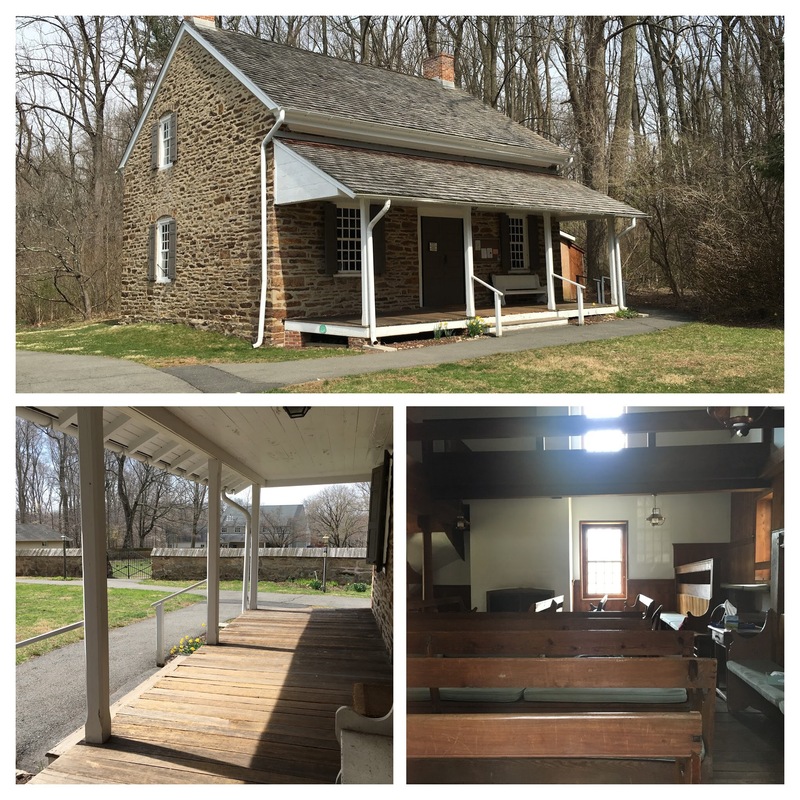 Above is the Stony Brook Meetinghouse, built in 1724. It is just on the edge of the battlefield. During the war it was used as an infirmary for both sides. 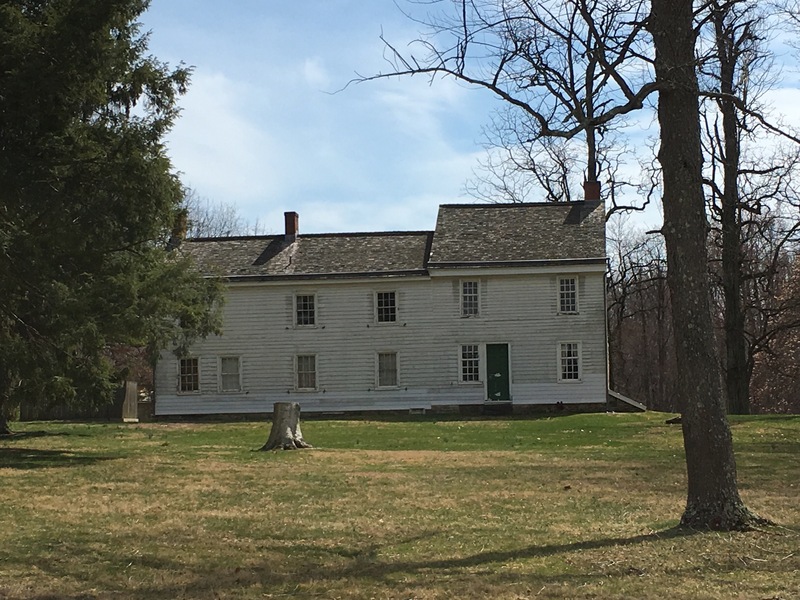 Finally, this is the Thomas Clarke house, built by Thomas in 1772. It was used as a hospital during and after the battle. General Hugh Mercer died here. 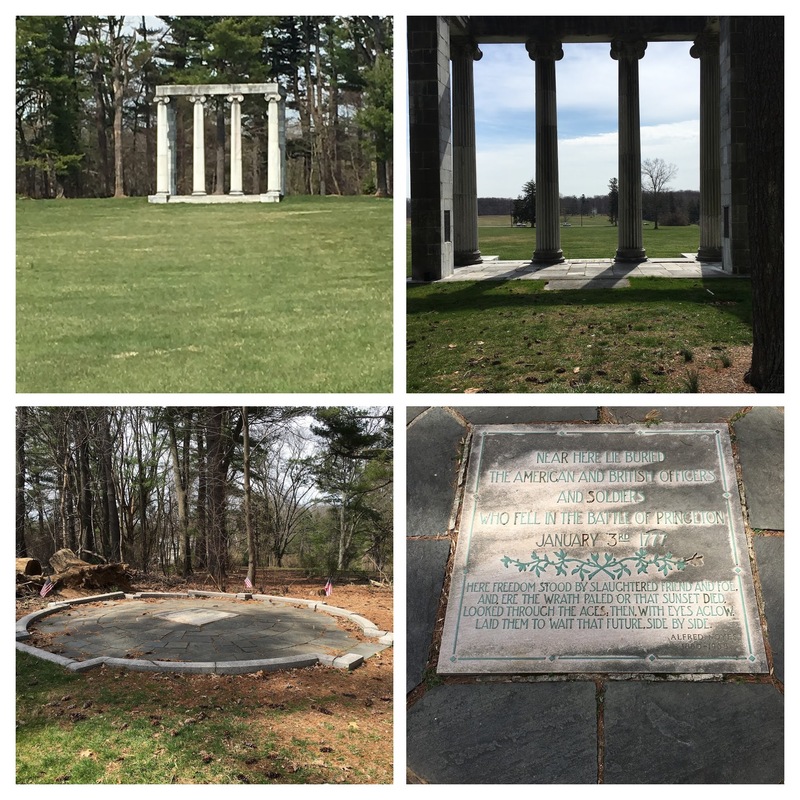 This entry was posted in Tidbits to Share and tagged American Revolution, U.S. History on March 31, 2016 by revkamcclain. Interesting pictures and good article.